Britain and France have called on Myanmar’s Aung San Suu Kyi to push for an end to military violence against Rohingya Muslims in Myanmar’s Rakhine state. 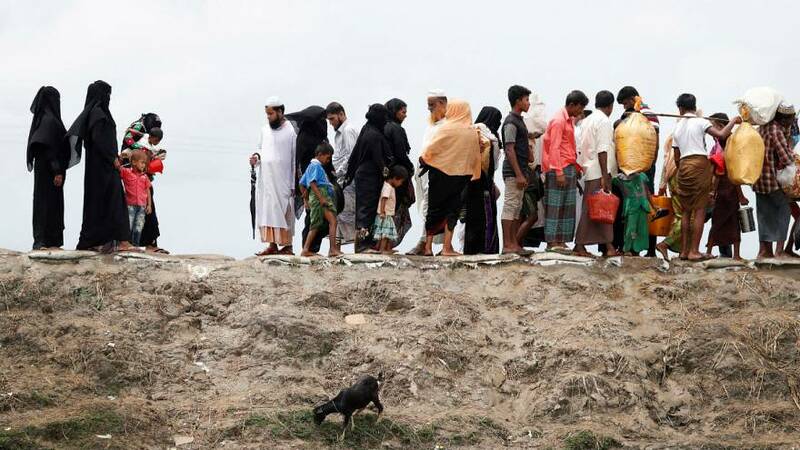 With an estimated 15,000 refugees pouring over the Bangladeshi border daily, international pressure is mounting on the Myanmar leader. “It is barbaric what is happening to the Rohingya, there can be no doubt about it. And of course, it’s up to Daw Suu, state counsel and Aung San Suu Kyi to show leadership to try and impose her will on the military,” said British Foreign Minister Boris Johnson leading the calls for Suu Kyi to act. The violence began last month when Rohingya insurgents carried out several attacks, sparking a military crackdown and an a flood of refugees. Aung San Suu Kyi is due to speak to the nation today about the crisis which Washington says is a defining moment for Myanmar.